Open alarm-clock and create new alarm. Set time and/or date. 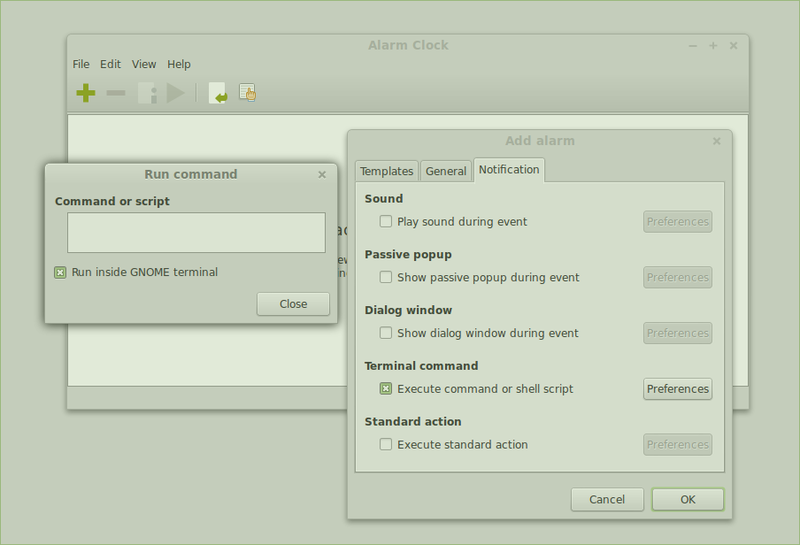 When you create a new alarm choose Notification and unmark all other options and select "Execute command or shell scrip". Choose Preferences and set your custom command. Enter this command to set simple reminder. You can start any web page, just change url. MagicMint	 The dollar sign is unnecessary in all command lines except the first one for the installation.